Thank you to everyone who entered our Twigs And Honey Giveaway and congratulations to the winning comment below. You have exactly one week to email jocey@weddingchicks.com and claim your prize. 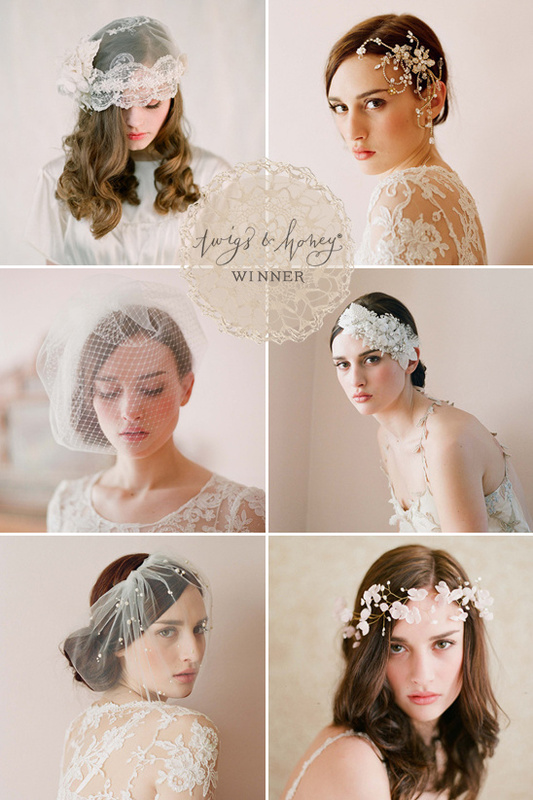 Be sure to see all the pretty images by Elizabeth Messina from the Twigs and Honey 2012 Collection by clicking here. Remember even though you did not win you can still purchase your hair adornment over at Twigs And Honey. Photographer: Elizabeth MessinaHeadpieces: Twigs & Honey Hair/Makeup: Erin Skipley Dresses: Leanne Marshali and Claire Pettibone Model: Dominique Congratulations to the winner, Jamie!